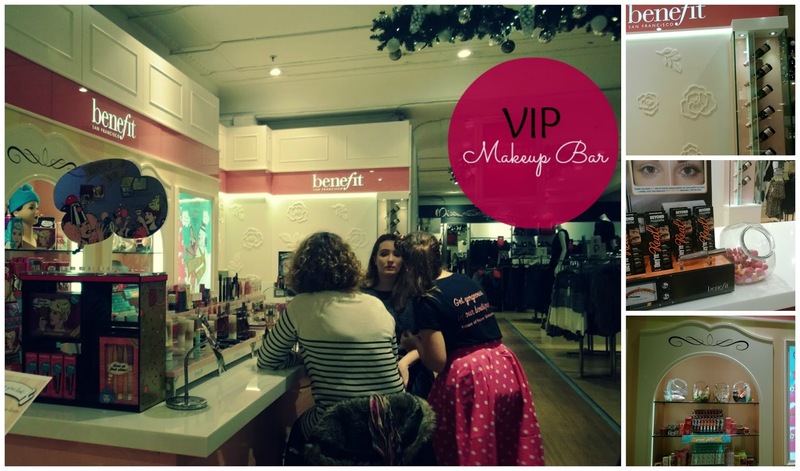 Benefit Boutique Glasgow is now Open! Huraaahhh!!! 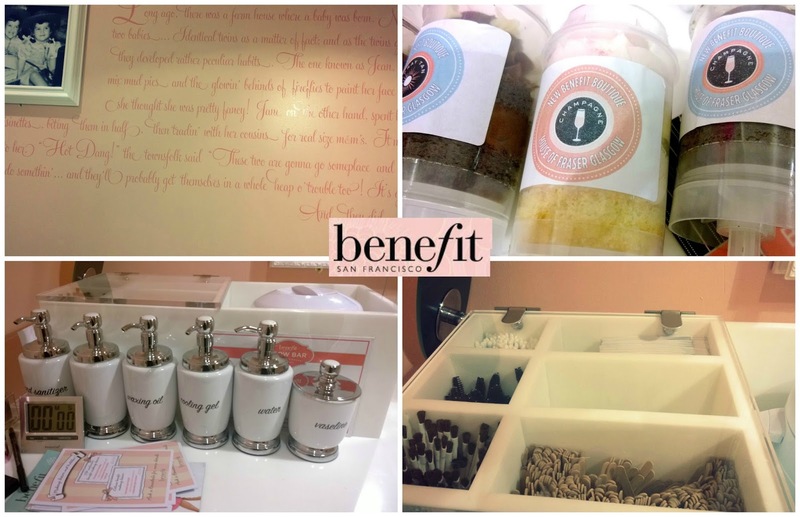 A few Fridays ago I popped along to the Bloggers pre-launch so we could have a sneaky peek of what they had to offer and we were not dissapointed. 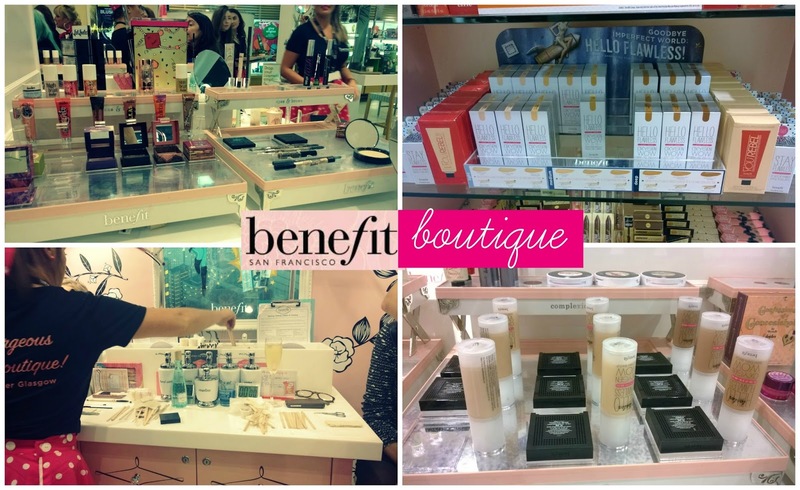 Having had a full re-vamp to include the boutique all the staff at Benefit, House of Fraser were buzzing on the night and the place had such a lovely atmosphere. We had a lovely guided tour and were shown the new VIP Bar which is located upstairs (away from the main shop floor) and is a great private area for a mini makeover. For £12 you can treat yourself to a mini makeover and a mini bottle of Moet and if there is a group of you going along maybe before a night out you can all get together, get pampered and if you wish to try on any clothing while you are there to they will close of a fitting room for you all also. So instead of all meeting up at different times at different places why not book yourself in for the mini makeover and all get ready together, how fun does that sound! 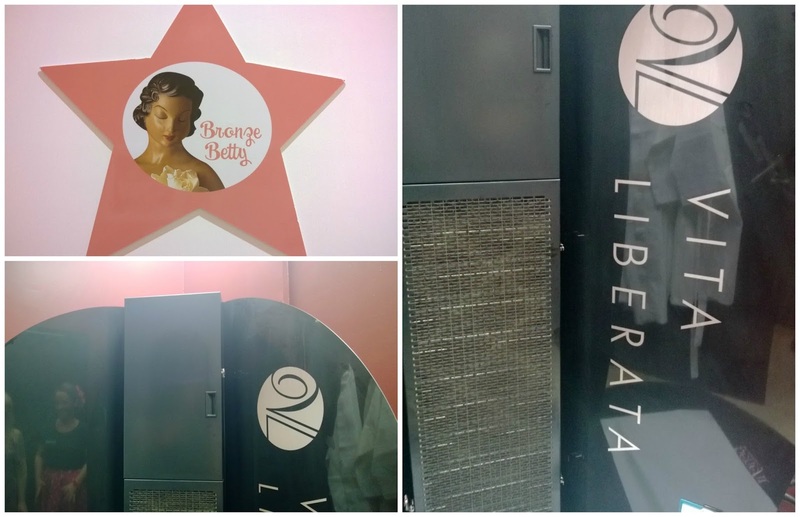 First Room was the Bronze Betty room, which is your spray tan room featuring Vita Liberata tan. They have a lovely shield to stand in which I think is much nicer than the blow up tents you usually see and it has a built in extractor so any excess tan is sucked away in an instant. 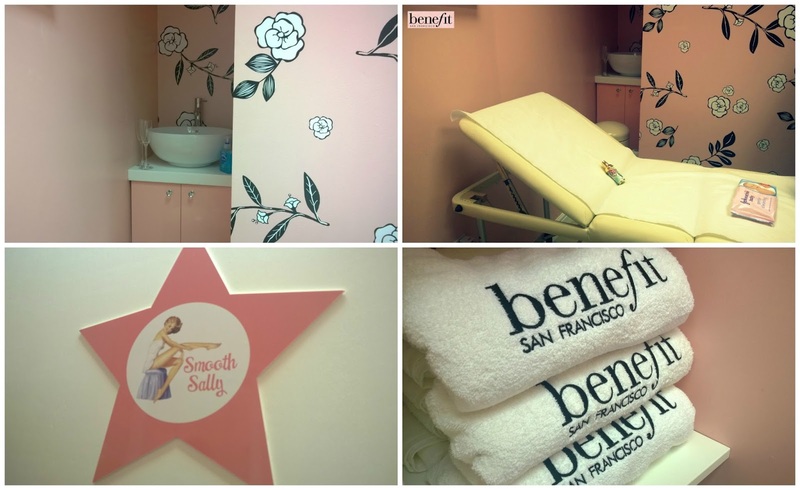 Next was the Smooth Sally room is for the waxing service and is a little more private as they can do brow waxing on the main shop floor but the rooms make it more appealing if you are looking for a more private experience especially for the men. facial wax, brow tinting, body waxing and mens grooming. On the main shop floor they offer some of the same services available in the private rooms such as brow waxing, lashes and makeup application which is nice if you want to be in the buzz of Benefit! 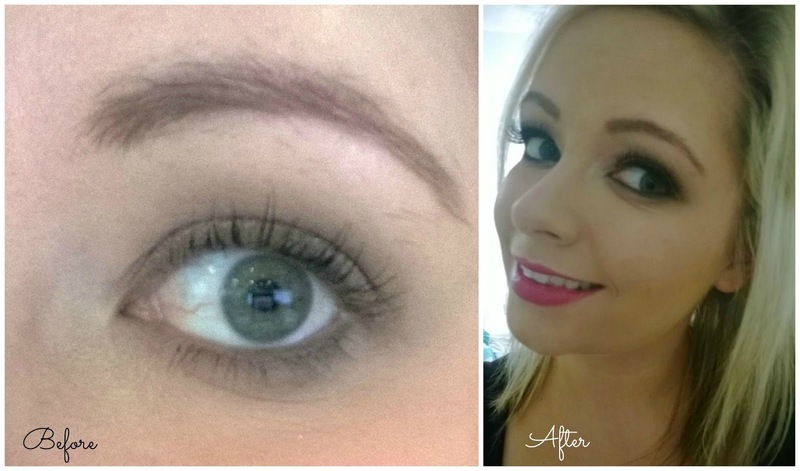 We were also treated to a treatment so I opted for a brow arch and tint £18 and I was really happy with the results. My brows are really thin so anything that can improve them is always a bonus for me. It all looks so amazing! Its such a good idea closing off the fitting room for a group as well. Love a good cake pop!